You are here: Home > Wedding flowers in Bath Botanical Gardens. Wedding flowers in Bath Botanical Gardens. Posted by Lorely on August 26, 2014. The Botanical gardens a lovely new wedding venue in Bath, you will find the gardens set in Royal Victoria Park they were formed in 1887 and within their 9 acres is one of the finest collections of plants on limestone, certainly in the West Country. The Gardens boast many choice trees, shrubs, a fine herbaceous border, a rock garden and pool, a scented walk, a collection of old shrub roses, a replica of a Roman Temple and lots of other very interesting features. 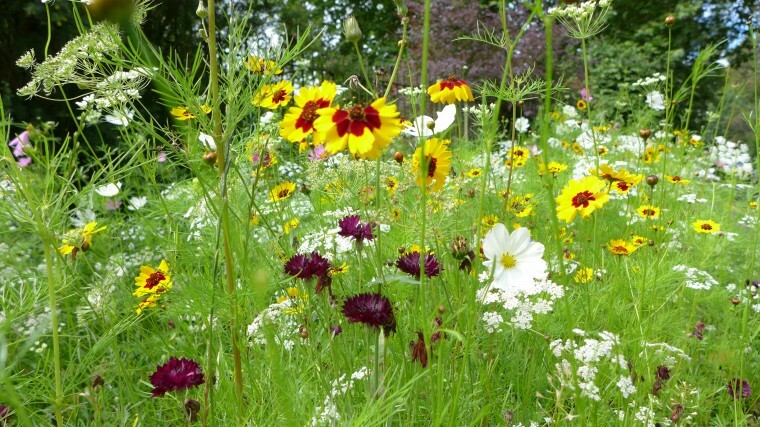 Wild flowers as you enter the gardens. The first sight of the entrance to the gardens, a block of wild flowers, you can tell it’s going to be a romantic setting for a wedding in Bath. The ceremony can take place in a really sweet Bath Stone building nestled amongst the trees, and for one of the first wedding receptions here the Bride and Groom had hired three tipis all connected together making a really fantastic venue surrounded by the beautiful flowering borders of the gardens. It was a real pleasure to then fill the tipis with flowers. 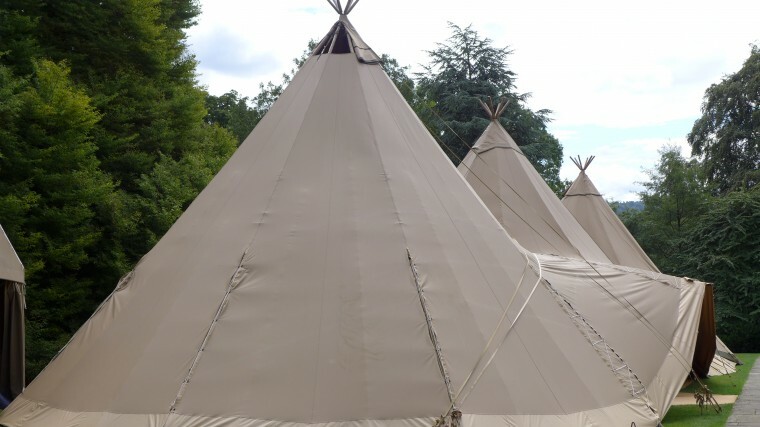 The tipis for the reception. Bunting and flowers inviting you in! 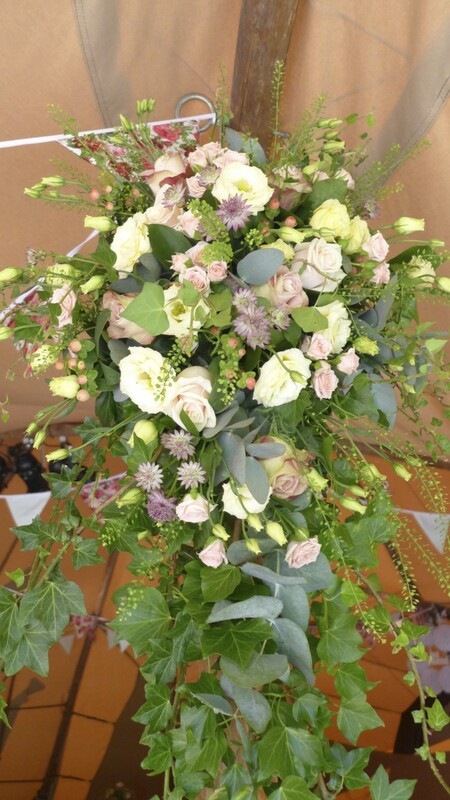 Jugs filled with, roses, lisianthus, green bell and astrantia. 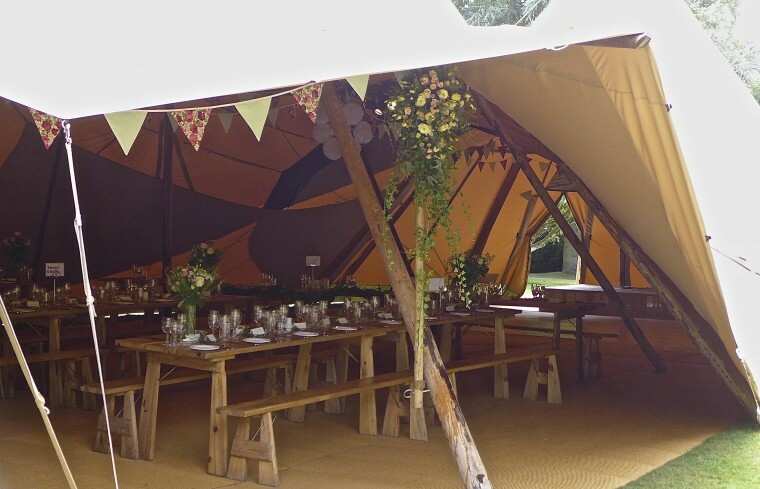 The heavy canvas of the tipis gave a lovely warm hue, and for her wedding flowers the bride had chosen creams and old fashioned pinks with a lovely mixture of vintage roses, double lisianthus, astrantia and green bell. 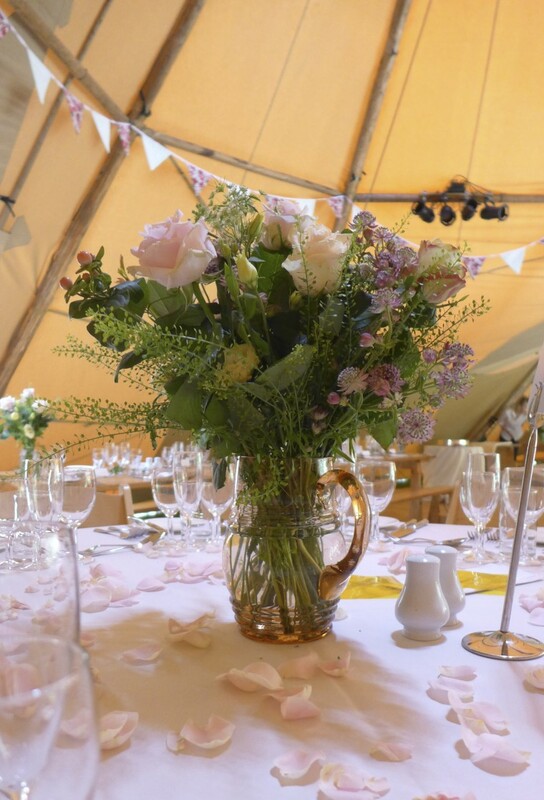 The tables were a mixture of wooden trestle and round tables, the bride and groom provided us with a lovely selection of mismatched vases and jugs, which looked great filled with loosely arranged flowers. To welcome the guests in the front poles of the main tipi were decorated with flowers and ivy. Ivy ran down the centre of the trestle tables, connecting vases at each end. Rose petals were scattered on the linen table cloths of the round tables, centred with jugs of flowers. The whole effect was very natural and perfect for such a lovely setting. 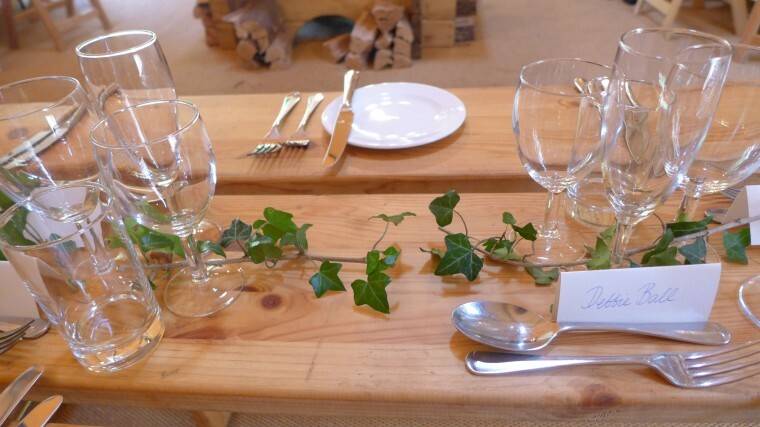 Trestle tables decorated with ivy. The entrance pole wedding flowers, in old fashioned pinks and creams.